We've teamed up with Cephas Azariah to bring you this photo-journal of Timberyard, one of our amazing supporters for UK Coffee Week. Timberyard, a London based cafe, described by their team as a “dynamic, independent creative workspace fused with speciality tea and coffee”, will be hosting a number of different events for UK Coffee Week. Darren Elliott, the man behind Timberyard, has been an avid supporter of UK Coffee Week and Project Waterfall in the past and is spearheading the events put on this year. Timberyard currently has three locations -TY Soho, TY Seven Dials in Central London, and TY Old Street in East London - and all three shops will be participating in UK Coffee Week. The main events for UK Coffee Week will be taking place at TY Soho, but there will still be plenty of opportunities to support Project Waterfall through all of the TY shops. 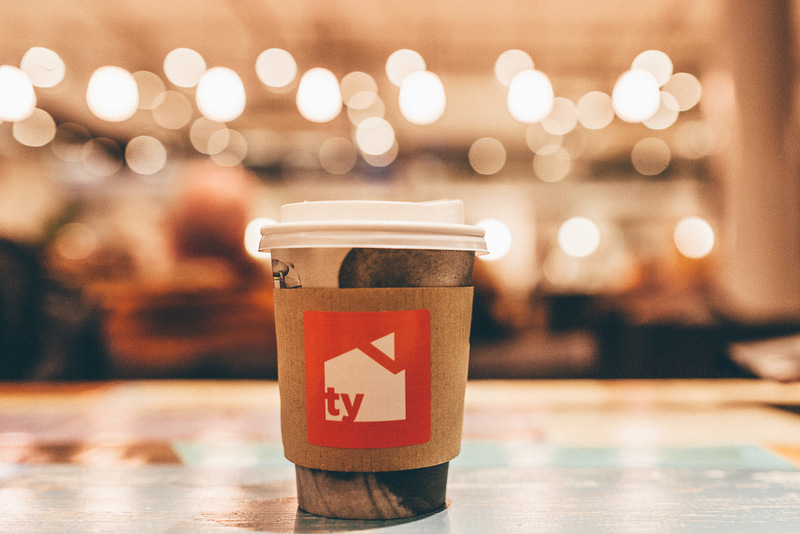 From 1-15 April, all TY shops will be donating 100% of sales from take-out coffees to Project Waterfall and on 15 April, all locations will be offering free espresso, the same day they will be launching a new Single Estate espresso for TYUK. In Soho, there will be exciting coffee events supporting Project Waterfall all week long. On Monday 11 April, TY Soho will be screening a new documentary film, Barista, starting at 7pm. Following this, on Tuesday 12th and Wednesday 13th there will be cuppings beginning at 6pm, which will also include a discussion of the coffee value chain. On Wednesday 13th, Origin will host a broad tasting experience entailing a range of single origin espressos, the same with milk, and batch brewed and single cup filter coffees. Finally, Thursday night will be the grand finale to the many events TY has put on for UK Coffee Week. Beginning at 7pm, TY Soho will be hosting the official London Coffee Night After Party, including drinks on arrival, a live DJ set, and an opportunity to meet Endless the Artist. We can’t wait to see in action the amazing events that Timberyard will put on this year and hope to see you at some of them. Make sure to follow @timberyarduk on Twitter for updates on their UK Coffee Week events!